You are here: Home / Digital Pianos / Starter Keyboards for Adult Beginners: What’s the Best Option? Starter Keyboards for Adult Beginners: What’s the Best Option? A lot of people believe they can’t begin to play piano past a certain age. I personally reject this ideology. While there are clear benefits to starting at a younger age, most adults can find a lot of success in starting at an older age. Sure, it takes hard work and patience, but getting into music as an adult has never been easier. There is more teaching material than ever before, new techniques for learning, and there are keyboards that adults can buy in order to get started on their new journey toward success in playing the piano. So, what should you look for in a starter keyboard? Well, beginning lessons don’t require a lot of keys, so you don’t necessarily have to have the full 88 keys. However, if you have a feeling you’re going to stick with it, the more advanced you get the more keys you’ll use, and I think in this instance it’s important to have as many keys as possible. The keyboard should have a great grand piano sound, as this will be the sound you’re using the most. It should also be easy to lift and move, in case you need to rearrange some things in your home. Keyboards that are more than 40 pounds are probably too heavy for you to be able to do this easily. Finally, there’s some debate about whether beginners need weighted keys. On one hand, getting used to them can help you play a real grand piano. On the other hand, lighter keys are more comfortable and will allow you to gradually build up finger strength. 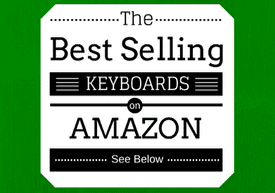 So, in this article, I’d like to discuss and recommend some keyboards to you as a beginner with both weighted and unweighted keys, so that you will have a more well-rounded understanding of what can be purchased on the market today. Without further ado, let’s begin with the Yamaha NP-32. Yamaha has been making keyboards for beginners and professionals alike for decades, and the Yamaha NP-32 is a great example of a good quality keyboard for beginners that isn’t going to cost a fortune. Let’s talk about why I like this keyboard. It has 76 keys, which is more than enough for a beginner, and in fact even a 61 key keyboard is a good option as well (there’s a 61 key version of this keyboard as well, and it costs $179). The keys are very light. They’re easy to play, but the velocity still feels convincing. They’re full-sized, and they look very beautiful, which a semi-polished look that makes it look a little fancier than it actually is. On of the main reasons I like this keyboard is for the sounds, particularly the grand piano. This one comes with two grand piano sounds: a bright one and a warmer one. I always prefer the warmer grands, so it’s great that you’ll have this option. Other than that, the sounds are extremely limited, so if you want something with more sounds, you might look at the Yamaha PSR series, although the keys on those keyboards don’t feel as good, but the sound options are much greater. This keyboard has pros and cons. For some beginners, the keys might feel too light, and there’s too much ability to control the velocity. For others, it’s easier to press the light keys, and thus it helps develop the basic skills. The Yamaha P-45 is a good example of a keyboard that feels really similar to the NP-32 overall, but with heavier keys and a thicker overall sound. It costs more, but it’s definitely a better sound and feel for the money. But because of the lighter keys on the NP-32, this keyboard only weighs 12 pounds and 9 ounces, which means you could move it a million times if you wanted to. It’s very easy to understand as well. There are only a handful of buttons, and working this keyboard as a beginner is very easy. It even comes with a simple recording feature and a metronome to help you practice in tempo. There’s no learning software, so you’ll need to get a book and probably a piano teacher to get started. For the price, this thing is about as high as you can go, quality-wise. A better keyboard will cost more, but if your budget is lower, this is for you. 3.8 out of 5 stars for adult beginners. You can read our review of the Yamaha NP-32 here. A lot of beginner keyboards don’t have a lot of options, and choose to focus on one or two things instead. I felt it would be useful to look at a keyboard that actually has a lot of different options, so that if you want more out of your keyboard from the beginning, you’ll be able to find a good one. The Casio CTK-7200 is a 61 key beginner keyboard with all kinds of fun options to choose from. 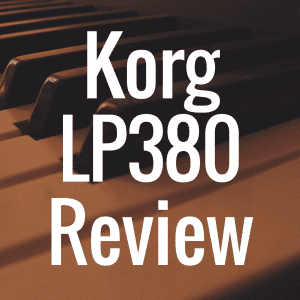 There are over 800 sounds to choose from, with options like organs, flutes and brass, synths, and strings, as well as at least 260 drum presets to choose from. For the aspiring performer, and someone generally interested in much more than just the piano, this keyboard provides way more options. You can split sounds, layer them, and record up to 16 tracks at once. My personal favorite thing about the CTK-7200 is that there’s a lot of effort put into the organ sounds. The organs sound really nice and they’re really fun to play. There’s these little sliders you can mess with called drawbars that allow you to change the tones of the organs. It’s a really professional touch for a beginner keyboard. The keys on this one are also unweighted, making it a little more comfortable for those with weaker fingers. The keyboard only weighs 15 pounds, which is not bad at all, and in fact might feel more substantial than something lighter like the NP-32. The speakers are also a little louder than the NP-32’s and I think they play the tones really well. One way in which this keyboard is not beginner friendly is that it has an in-depth mixer. It’s a little confusing to use, but doesn’t really get in the way of the main features, like the piano sound. It’s also got an input for a pedal, as well as a MIDI USB if you want to plug it into your computer. It’s always nice to have that option. The cool thing about the CTK-7200 is that there’s a lot to it. So if you feel like you want to really get into things like MIDI, recording, saving presets, mixing, or performing with drum beats, it’s all at your fingertips. The downside? Unlike the Casio Privia PX-160, a digital piano keyboard with a full keyboard and weighted keys, it feels less like a piano. So if you’re more interested in something that models a real grand, look elsewhere. 4 out of 5 stars for an adult beginner keyboard. I put the P-45 in the middle because I really feel like it’s a very solid digital piano for beginners, with just a small bit of improvement needed. My reasons? Well, unlike its cousin, the NP-32, it’s a full sized 88 key digital piano (a piano, not keyboard like the NP-32) with weighted keys. The keys feel a lot better than the NP-32’s, and they can definitely cater more towards all types of players. Some argue that the best way to get used to playing weighted keys is to simply jump right in, and that’s where the extra money goes. 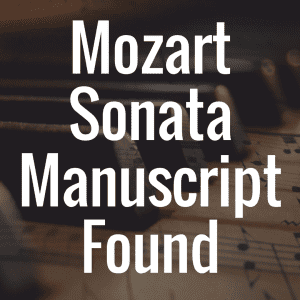 Because it’s weighted, it feels much more like a real piano, and can really help anyone take practicing to the next level. While it ultimately comes down to preference, weighted keys are mostly regarded as better. But they’re not for everyone, so it’s up to you. What’s my preference? Well, it depends on what I’m playing. For synths and organs, it’s all about the light action. This allows me to play more notes, and do slides and glides much easier. But for jazz and classical, when enunciating the notes is an imperative, I have to go with weighted keys. As a beginner, you have this choice. But I will tell you that starting with weighted keys, in my opinion, does help you play lighter keys with more control. That’s a personal opinion but I believe a lot of other pro keyboard players feel that way as well. I love how the speakers sound on the P-45. It’s plenty loud enough for practicing, but you’d want to plug it into some external speakers in order to perform. The grand piano sounds pretty good, and feels more realistic than the NP-32’s, but not quite as full as the Yamaha P-115’s. It’s a nice keyboard for beginners because like the NP-32, its interface is simple and easy to use. In fact, there’s only one real button, and you can use it to control everything. This is a picky thing, but the grand piano doesn’t sound one hundred percent authentic like it does on the P-115. The whole “one button” thing is also a curse, because you have to hold it down to do anything, and scrolling through different voices is a little tough. I wish the same interface on the P-115 was on the P-45, because then it would be much better. But the feel puts it ahead of the last two keyboards, so I’ll give it a 4.2 out of 5 stars. Check out this press release to see how Yamaha envisions the P series lineup and to understand how each one differs from the other. You can read our review of the Yamaha P-45 here. A few months ago I started teaching piano at a music school for students of all ages. In the studio I use, we have a Casio Privia PX-160. Prior to this, I hadn’t played one before, but it is now becoming one of my favorite digital pianos on the market. This is because of a couple of things. First, the keys do a really great job of feeling like a real piano. They’re full size and offer plenty of room for playing at high or low velocity, or anywhere in between. Second, I really like how light it is, for how solid the keys feel. It weight under 25 pounds which allows you to pick it up and move it if you need to. Lastly, I really like the way it sounds. Speakers on either end of the keyboard panel provide loud or soft volume, depending on how you want it. I know it gets loud because there’s a drum studio right next to the one I use and it can easily overpower the sounds of the drums coming through the wall. It’s got 88 keys, a few different sound options to choose from, and even a recording feature and a metronome. Several students have asked me whether they should get this same digital piano for their home so they can feel comfortable learning at the music school. I usually tell them if they’re adults that this is perfect because it doesn’t take up a lot of room, and while it’s not quite as nice as the Yamaha P-115 in terms of sound quality and key feel, it’s still a wonderful option. If a parent asks me about a keyboard for a kid though, I’ll usually recommend something else because the budget will probably be lower for the child. At $500, this digital piano will last you forever though. You won’t need to upgrade unless you want something with more sounds. And if you’re focusing on piano, you might not ever want more sounds. If you eventually want to start performing with a band, you should get a separate portable stand and some cables to plug into some loudspeakers at the venue. The Privia PX-160 does have outputs for left and right channels for a great stereo mix. For beginners, this is the pentultimate keyboard. But it’s also great for intermediate level players, so you won’t have to worry about upgrading. I like the speakers, keys, and durability on the P-115 better, but if your budget is a little lower, this Casio is a wonderful option, and it even comes in a rose gold color as well. 4.5 out of 5 stars. 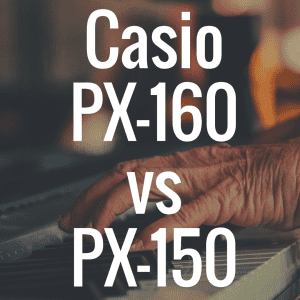 You can read our full You can read our comparison review of the Casio PX-160 vs the Yamaha P-115 here. The most expensive keyboard on this list is also the best one, so you should know if you opt for the Yamaha P-115 you’re getting your money’s worth. I have used this keyboard to perform, as well as play in the home, and both ways it’s absolutely fantastic. The speakers are loud, and with some digital pianos, notes can clash and create ugly sounds. With this one, that’s not really a worry. Because the sounds, sampled from a real Yamaha grand piano, are so high quality, everything is in tune and sounds perfect. There are options for beautiful, warm and bright grand pianos, great electric pianos, organs, and more. The interface is actually easier to use than the P-45’s, because all of the buttons are easy to access on the front panel. In this way, while it costs a little more, I think it’s more user friendly. The volume control is easy to use, and it will actually power off on its own if you forget to turn it off after you’re done using it. It’s a bit heavier than the Casio Privia, at 26 pounds even, which is not really noticeable if you lift it compared to the other one. Just as with a lot of these digital pianos, you can attach a stand to it or simply place it on one of those performance X stands that you can find at any major retailer for cheap. But overall, compared to the Privia PX-160, I think everything has an edge, including the sounds, feel, functions, and even the visual aesthetics. The Yamaha feels more professional and sturdy to me. It comes with a sustain pedal, but if I had one complaint about this keyboard, it would be that the pedal is so light, it moves around too much and can be hard to find with your foot and even play. I would recommend buying a heavier, more real-looking pedal separately as well. One of the reasons why the keys feel so real is that as you play notes up the keyboard, the action actually gets lighter. On a real piano, there are heavier keys toward the lower octaves because they need to hammer thicker strings more loudly. This is extremely realistic on the P-115, and they did a wonderful job modeling this small detail not a lot of players would pay attention to. As a beginner, getting used to playing these keys is going to be really useful for you. You can read our full review of the Yamaha P-115 here. Check out the full list of specs here. For me, and I think for beginners, if you have the money, this is the best option. It’s simple, high quality, and it will last you forever. You won’t ever feel like you’ve grown out of this keyboard, and I think it’ll really help you learn more comfortably because it feels so realistic. Learning piano as an adult requires some commitment. And one of those commitments is having something to practice on. It can be hard to know whether you’re going to stick with it, which is why buying a cheaper keyboard can be a useful investment. If you have a good feeling about it, or even if you’ve taken a few lessons or feel excited about your new skill, you shouldn’t settle for medium quality. The better your gear, the more you’ll like what you’re doing. 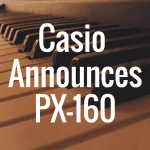 The P-115 and the Casio Privia PX-160 are both wonderful options because they feel great, are portable, and sound lovely. The P-115 is the best, in my opinion, because it sounds better and feels better, and for only $100 you could get the best. But I would recommend finding a place that has some of these keyboards and trying them out yourself. You might find your preferences to be different than mine. Coming from an objective position, I know that growing out of something means you’re going to have to get something new, which is why starting with the P-115 could actually save you money in the long run. 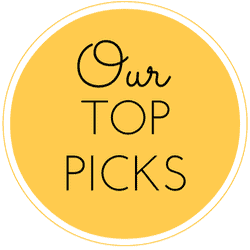 If you liked this article, please “like” us on Facebook! What’s the Best Digital Piano for Beginners? What’s Different Between a Digital Piano and a Keyboard? 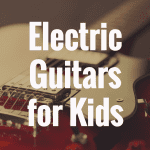 What Are the Best Electric Guitars for Kids? 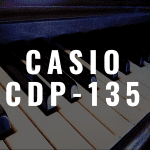 Casio CDP-135 review: A Good Beginner Digital Piano?